Recent Bigfoot Sightings – Fact or Fiction? Could the missing link between the lower primates and man still be alive? Reports of such a creature have come from all over the world. Yeti and abominable snowman sightings have taken place for years in the Tibetan-Himalayan area. Skunk ape sightings from the everglades of Florida have also been reported for many years. Nearly all areas of North America have reports of Bigfoot, Skunk ape or Sasquatch, with a majority of the sightings coming from heavily forested areas. Footprints, hair and blood have been collected, yet no body has been brought in for scientific evaluation. The most well known creature and likely the most sought after of all the mythological beasts has to be Bigfoot, also known as Sasquatch. Bigfoot has become quite a legend with sightings dating back centuries. Bigfoot is an ape-like creature that is thought to inhabit forests and woodlands, often described as a large and hairy man-like ape that walks on two feet. The name Sasquatch itself means “wild man” and comes from an Indian dialect thought to be from the Coast Salish Indian tribe of British Columbia. The more common name for the creature “Bigfoot” is a journalistic term that was generated by the media and is derived from the large foot prints found around bigfoot sightings. Bigfoot is usually described as standing between 6 and 15 feet tall and weighing anywhere from 400 to 600 pounds. Bigfoot is covered in brown to reddish tinted hair. The creature is often said to large eyes with a low set forehead and brow ridge. The creature is also commonly reported to have a strong and rather unpleasant smell. There have also been footprints linked to the creature sizing in at 24 inches long and 8 inches wide, hence the nickname ‘bigfoot”. Sightings and reports of Sasquatch have been around for centuries and have continued to be reported up to present day. More modern sightings of the creature have also offered varying articles for use in trying to document the bigfoot existence such as photo’s , film, plaster cast of footprints, even samples of hair thought to used for DNA testing. There have also been many plaster casts made of alleged bigfoot prints in area’s around the world. Some of the most well made casts show proof of a ‘push-off mound in mid footprint” and many scientist agree this has value if only for its difficulty in hoaxing because neither fake wood nor rubber faked feet can create this feature. This footprint evidence also offers more interesting facts in the area of comfortable stepping distance for humans which is said to be about half the individual’s standing height or a trace more, reported Sasquatch steps are in excess of three feet which can make the argument that these steps would be difficult to impossible to hoax or create artificially by someone wearing fake feet. Many eyewitness sightings of the creature have been reported and many of them coming from area’s that are near rivers, lakes, or creeks along with area’s with plentiful rainfall totals and many researchers say this points to a pattern of a living species occupying an ecological niche as opposed to all sightings being hoaxes. Scientist will continue to debate the existence of the Bigfoot and many still consider it a mix of folklore , myth, and simple misidentifications. Most claim these sightings are simply hoax’s or embellished accounts from eyewitness’s with muddled memories and misinterpretations of what they actually saw. But the Sasquatch has become such a sought after creature that many organizations have been formed to not only research but track and attempt to prove its existence. These groups spend hours upon hours in area’s around the world documenting sightings and evaluating all evidence collected. Through out the years the Sasquatch has become the poster creature of many in the Crypto Zoological field. The video of the kids seeing the strange creature in the snowy forest is absolutely amazing! I would have been creeped out to the max! Great video, by the way! okay, im too scared to watch the videos, but what make you think that bigfoot is real? because, people believe in aliens but nobody has reported sightings of anything ever before in outer space. People “see” bigfoot all the time. Some of them are lying. Some mistake another creature for bigfoot. And in my opinion, there are some people out there that want to scare other people out of their pants by dressing up as bigfoot and go out parading in the woods. unfortunately, he and his offsprings are coming out to the open civilizations. As much as you dread to believe not, you will eventually approach him one day. After all, theres is no proof that we humans were once monkeys(evolution). Us living among the woods,mountains and remote areas, especially the indian reservations are true to our words, they are here and roaming the areas. We hear them occasionally, we get unwillingly close and yes, we have seen him/them. They are very good at hiding, but their vocals are constant and strange things happen to our livestocks. Just because you never come away from the city does not mean you have to doubt what we see, hear and experience out here. Sometimes, we fear for our safety. At the top of he page the 3rd picture THAT’S NOT BIGFOOT! I don’t wanna seem like a crazy but i kinda believe in mythological being and aliens and all that crap. To me there just seems to be to much evidence for there not to be. Anyways the 3rd picture of “bigfoot” is obviously a dude with long hair and a packpack. You can see blue on the figure thats a coat. The guy talking about panning for gold and seeing a Bigfoot is full of crap! For one, his voice was VERY stressed. Secondly, he spoke of his colt being very skittish and green broke, in an area where the horses senses are heightened from the trees that were apparently turned to saw dust (remember, he said the horses would NOT go through there). Now, I have horses, and I can tell you, just as with ANY animal, when they are scared, spooked or on the alert, they begin to shut down immediately unnecessary functions, such as eating or drinking, or even relieving themselves. YET, this guy wants us to believe that his already alert, skittish green broke colt suddenly decides to stop and get a drink in the middle of a river during flight from fear????? C’MON!!! Then added to our insult by saying he looked over his shoulder to see it coming – approaching him from some distance to as close as just 20 feet away!!!??? And the horse never heard it coming?? Being an animal with very good senses of hearing and smell – which is already alert and scared and surely switching his ears from side to side!!?? And – and… you couldn’t get your horse going again? Gee, that’s convenient! Really dude, get a life or come up with a better, more believable story… Hell, even Bob Gimlin (Patterson, Gimlin footage, 1967) said their horses were hard to handle and obviously spooked about something, LONG before they ever saw (or filmed) anything! The kids’ footage is much better, but still looks like a guy walking through the woods. Nothing abnormal or paranormal about that. It looks nothing like ‘bigfoot’ it looks like a man wondering the forest. This thing is real. people posting fake videos online are just wasting everyones time. get real people. These kids were probably set up. The arm length is reminiscent of a human. Sasquatch have much longer arms, 60% of body length. 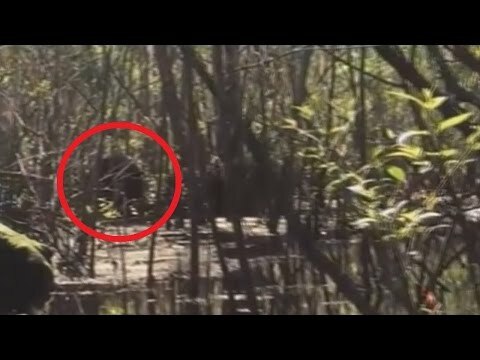 The gate and leg drive in this video is NOT consistent with the verified gate of a Sasquatch. Finally, the profile and speed of the subject have the appearance of a human, not a Sasquatch. Like almost every video, this is Way Too Inconclusive. I would give this siting a low probability of being legit, even though the kids reaction seems very authentic. I did find it peculiar that the kid video taping had a tripod in operation. If nothing else, it made for great stability and should be a lesson for all those who hike the woods with a video camera expecting to get some decent footage. My friend said she saw Bigfoot at her friends house. My theory on the bigfoot thing. You ever think it could be some humans got tired of society in went to live in the woods to get away from people. When, you wear clothing, the clothing keeps your hair from growing in certain areas of your body. If, a group of humans were to disrobe their clothes to live in the woods, they would grow hair all over their bodies. This explains the different colors of hair that people have spotted on the bigfoots. Some people say they have gray, white, brown, black hair on the BF. When, you live among the elements your body grows hair, your feet tend to grow bigger without shoes, this explains how scientists thay discovered the castings of the BF has a break in the middle of the foot. The native american indians say the BF kidnaps their babies, this explains why the population of the BF grows, believe me if you went with no clothes on your whole body would have hair all over it. Just something to think about. THIS IS NOT REAL! I DONT BELEIVE IN BIGFOOT! I am a Native american in washington state, my tribe is called Lummi Nation and there are thousands of sightings of big-foot were were from. 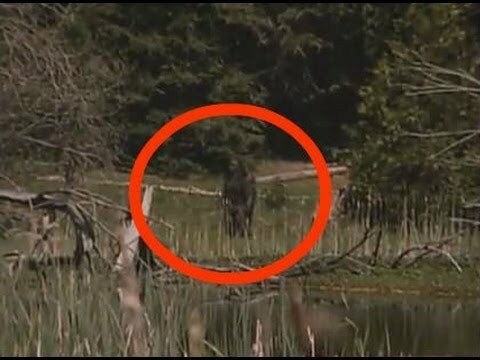 our tribe is next to a river and close to the mountains and i believe in sasquatch i have seen him myself growing up i am 6’3 and when i saw this sasquatch it sent chills through my whole body. when sasquatch screems its a screem that well give you nightmares our elders say never throw away fish in you garbage can because thats its favorite food your suppose to burn it unless you sasquatch to dig threw garbage cans. sasquatch mostly comes during the winter time we dont know why maybe because its warmer and all the big game like elk, deer etc.. come through as well, and our tribe has a police station and there were 9 calls reporting sasquatch all withing a few minutes from 9 different houses on the same street because our tribe was clearing some woods to build houses and they found foot-prints all over the place and construction workers were getting frightened. also a sign that your near a sasquatch nest or where its territory is your well find broken tree branches, or small trees broken at the middle all in a single line or multipule places not too far apart. Bigfoot lives on the Choctaw Indian Reservation here in Mississippi! They usually are seen behind my mothers home in the backyard. It is usually November, December, and January that they are most active around the area.If you have never seen them…dont call us crazy! seeing is believing! I am a Native American and I have weeded out hoaxes. These huge creatures walk and run so fast that an ordinary human being dressed in a monkey suit cannot. It would be physically impossible for a person in a monkey suit to move its body the way it does.I hope that these creatures will be protected by law. They are shy creatures. If you ever see one, it will just walk away. Sometimes it may have a sense of humor and throw stuff at you.It screams and knocks on trees some calm quite nights. They are real! Apes…not monkeys. For reference, see the millions of fossils that make up a fairly conclusive fossil evidence record of lineage. The kids in the snow are good actors, I’ll give them that…but only that.